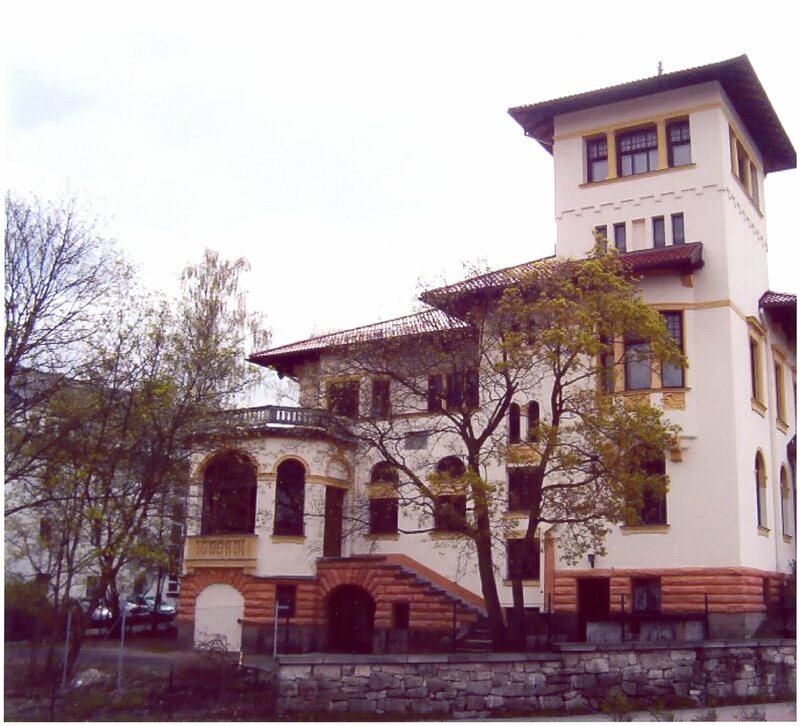 Located in the mountains and valleys of Thuringia the “Green Heart of Germany” is found the “Waffenstadt Suhl” that was formerly one of the most important gun making centers of Germany. 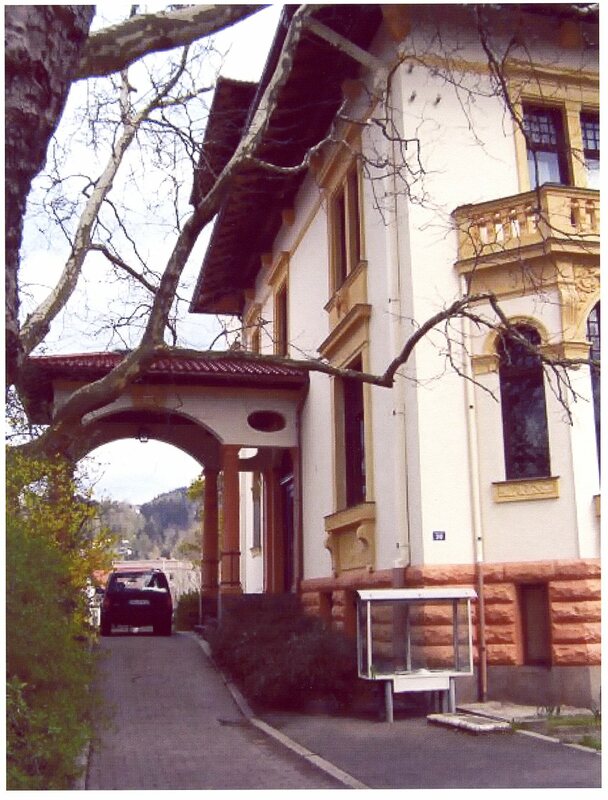 1751 Established by Lorenz Sauer (Principal firm). 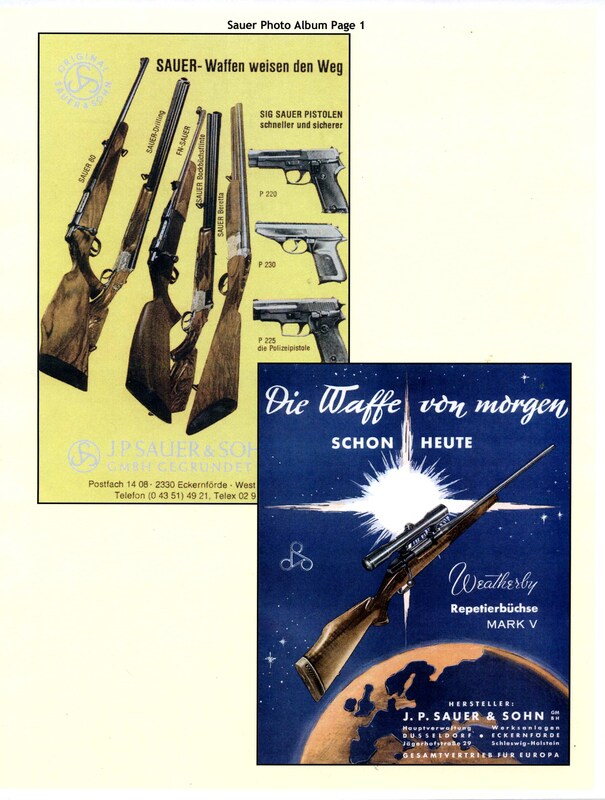 After Germany was divided the original Sauer company ended up behind the Iron Curtain under a Communist Government., An entirely new company was founded and built in Eckernförde, West Germany in 1951. 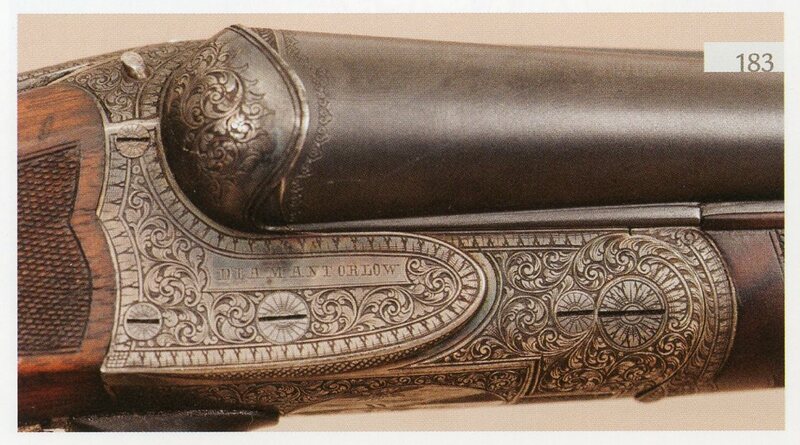 This new company had acquired the rights to use the Sauer name, and whatever else that was available, to promote the oldest of all German firearms companies. 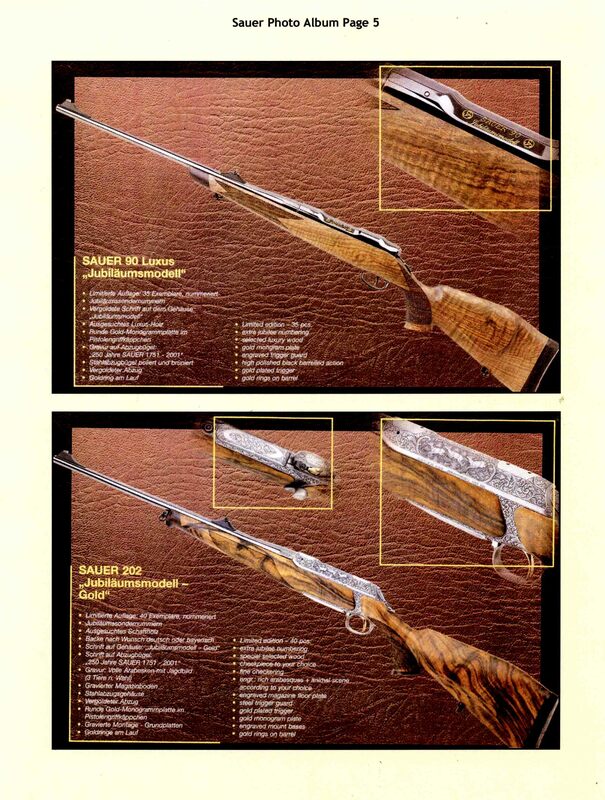 We will report about the Sauer breech loading hunting rifles from three different time periods. 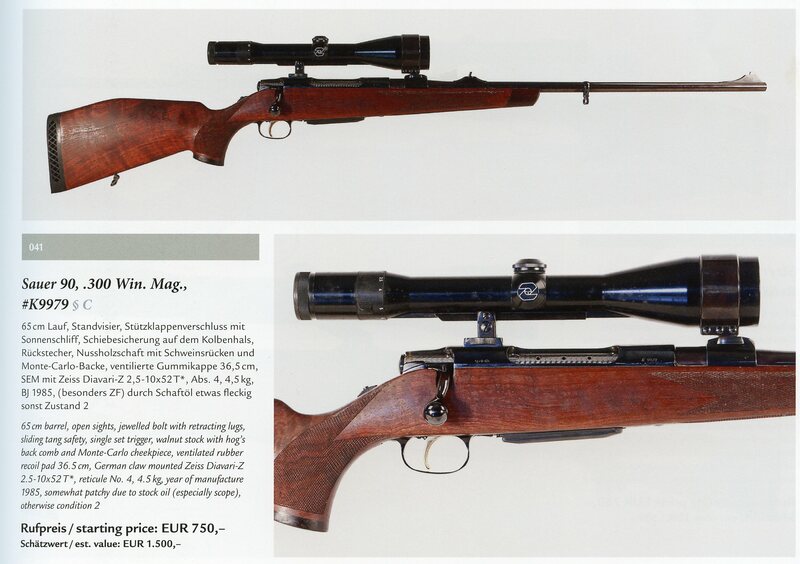 First and foremost about the guns that were made by Sauer up to the beginning of World War II in 1949, and you can find additional information and articles in our Archive (Nr.93-T). 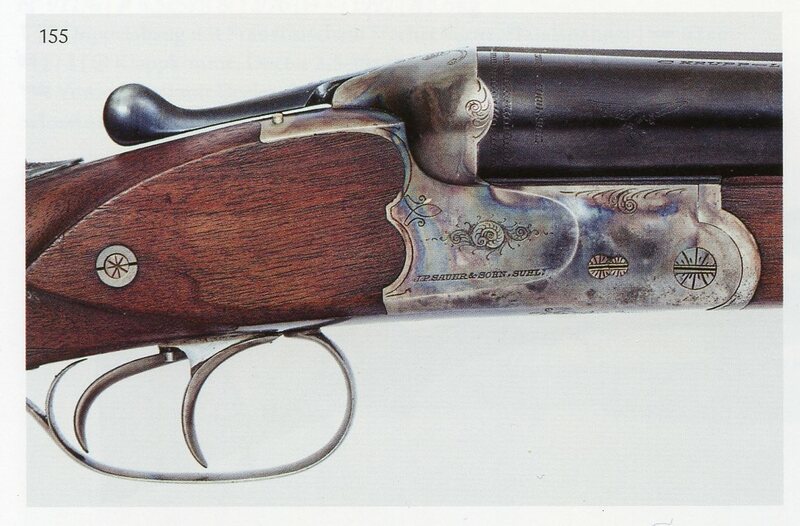 Excellent photos and descriptions of quite a few Sauer guns can also be seen in this Archive. 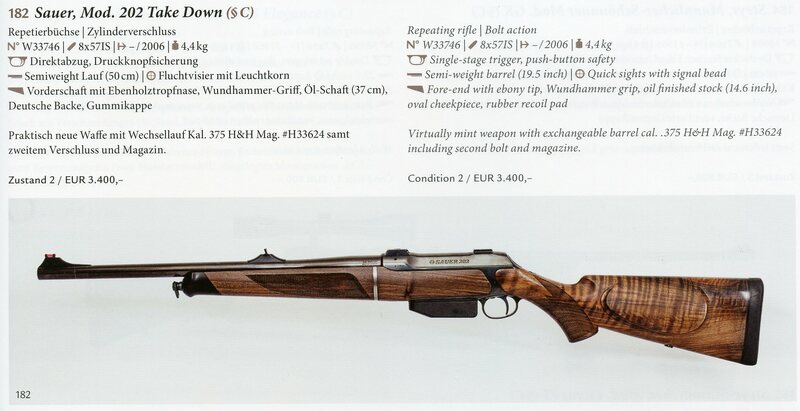 You will find information about some of the guns that Sauer made during World War II, especially the so called Luftwaffe Drillings and over and under shotguns in our Archive. 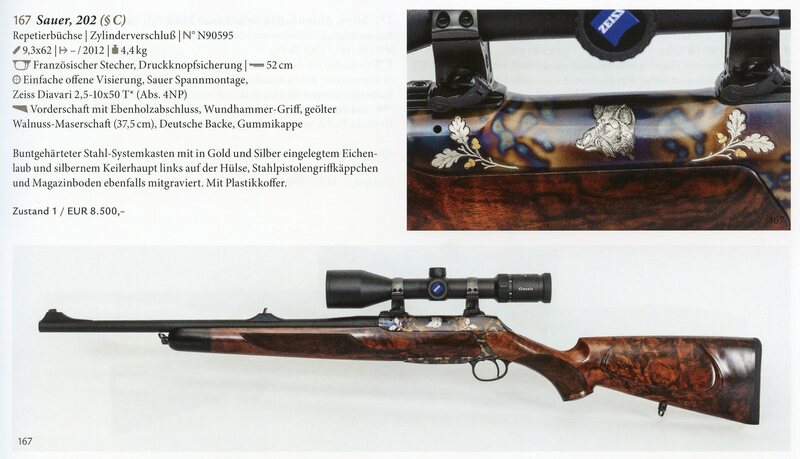 You will find information about the guns made by the new Sauer factory in Eckernförde in the list of gun makers in Section 5. 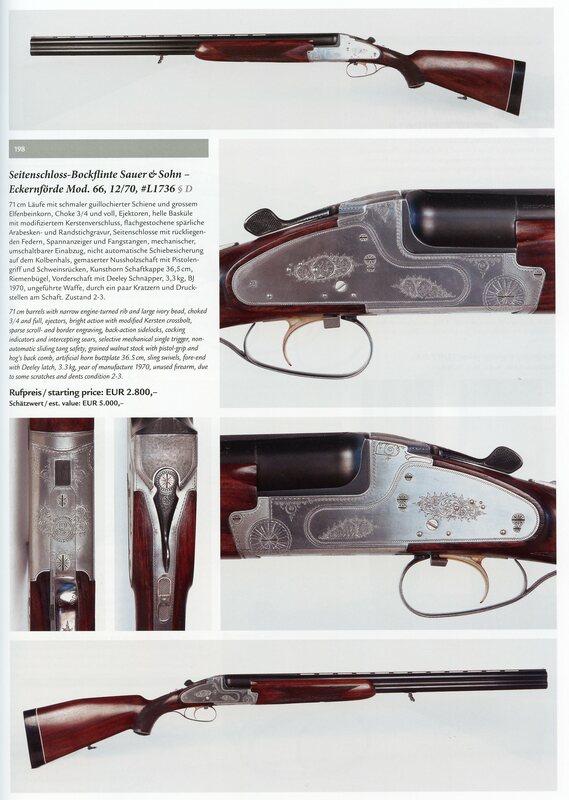 You will also find it worth your wile to visit the web-site Sauerfineguns.com that a serious and well informed collector of Sauer guns has created. 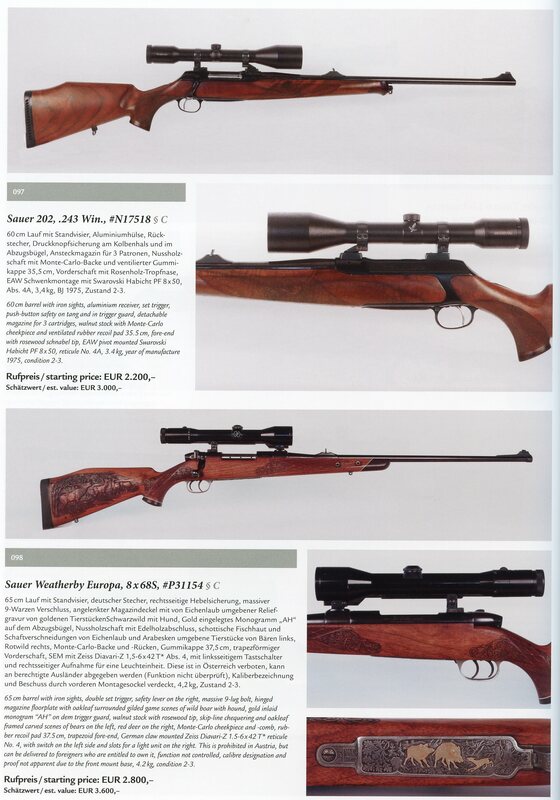 Sauer, next to Merkel and Simson, has produced too many guns and models to show you in this web-site, but fortunately several books about Sauer came out, and you will find interesting and informative information in these books. Not all these books are still readily available and some have to be found at used book sellers. 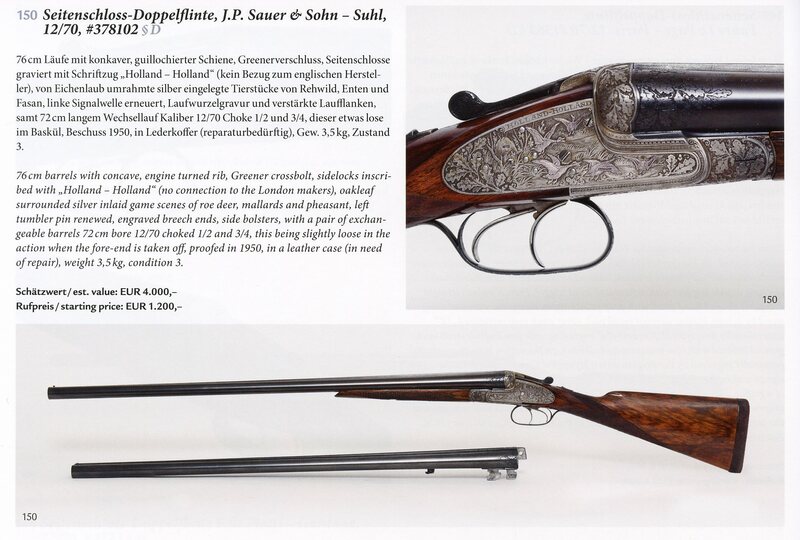 J.P. Sauer & Sohn, a historical study of Sauer automatic Pistols, by Jim Cate & Nico Van Gijn. Although this book is mostly about Sauer pistols, it covers quite a bit of the Sauer history, especially of the World War II years and the occupation by American troops. It is out of print. 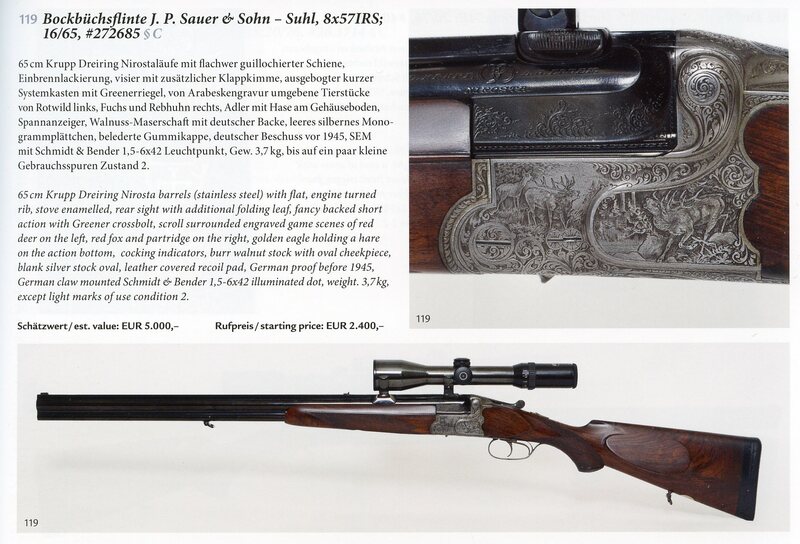 J.P. Sauer & Sohn, Volume II by Jim Kate & Martin Krause gives more information about the same time period, is also out of print but might still be available from the GGCA (sales@germanguns.com). J. P. Sauer & Sohn in Suhl – Waffenstadt by Jim Cate is also out of print. 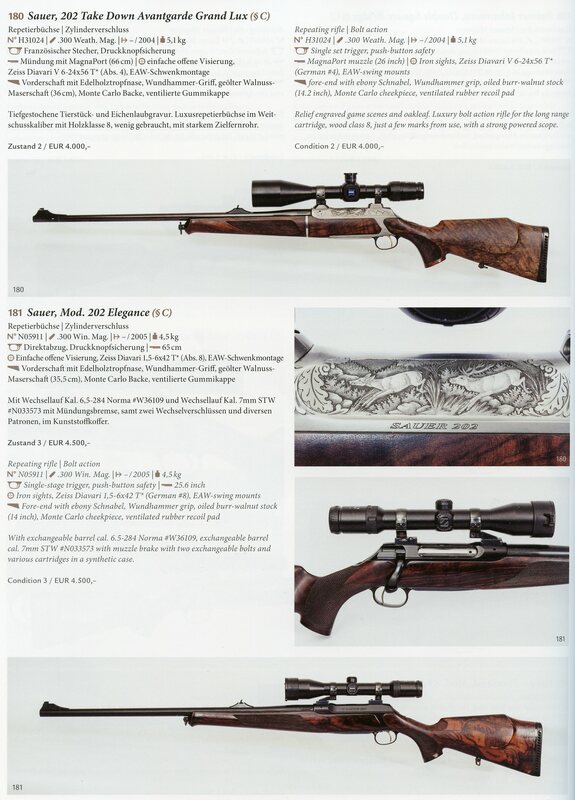 You will find an review of this book in our Archive, and this will give you a good idea how many different hunting guns Sauer has made over the years. 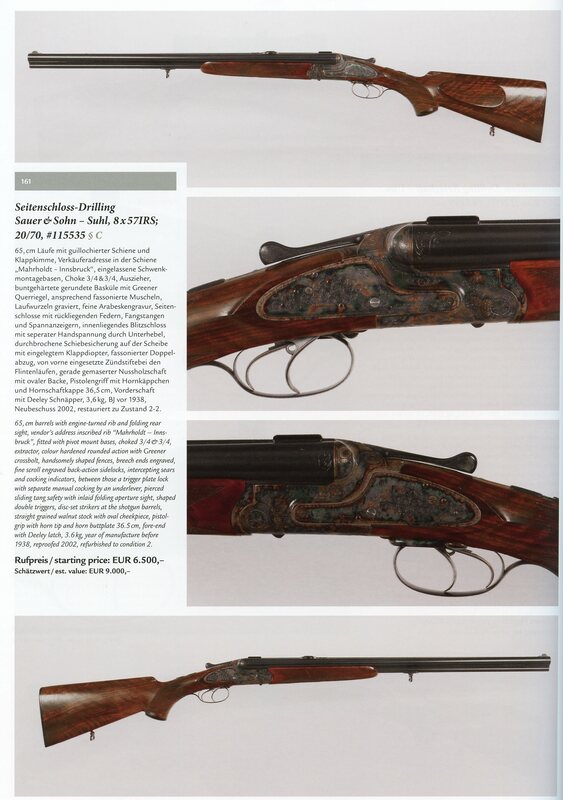 The book might still be available from the Germanic Gun Collectors Association at sales@germanguns.com. 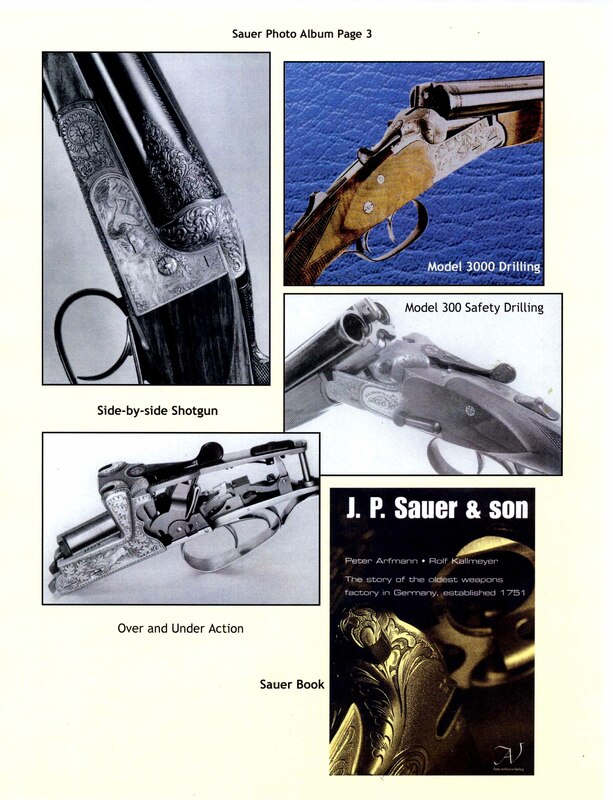 J.P. Sauer & son by Peter Arfmann & Rolf Kallmeyer, On 100 pages the history of Suhl and the Sauer Company and the guns they made up to June 1948 when the Russian Administration Authority disowned the Sauer family are described and shown. 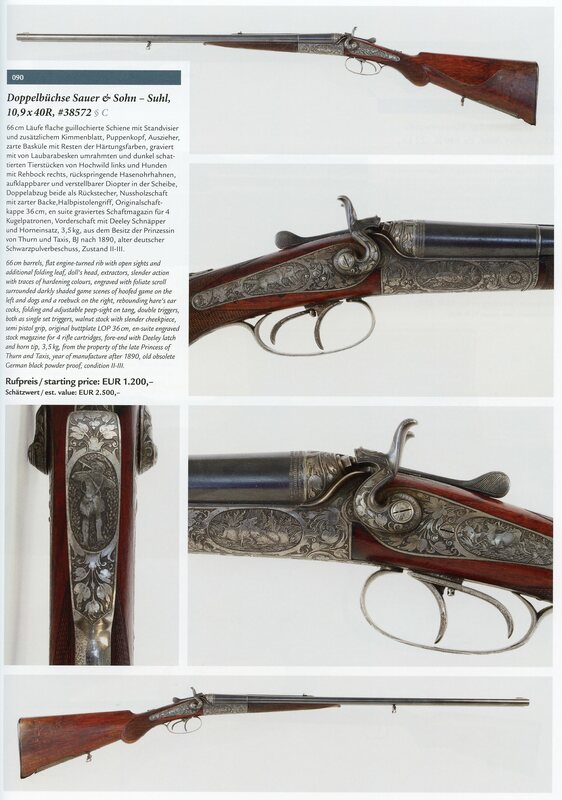 On 81 additional pages the history and the guns of the new Sauer Company in Eckernförde are described and shown. This book is most likely available from major book sellers. 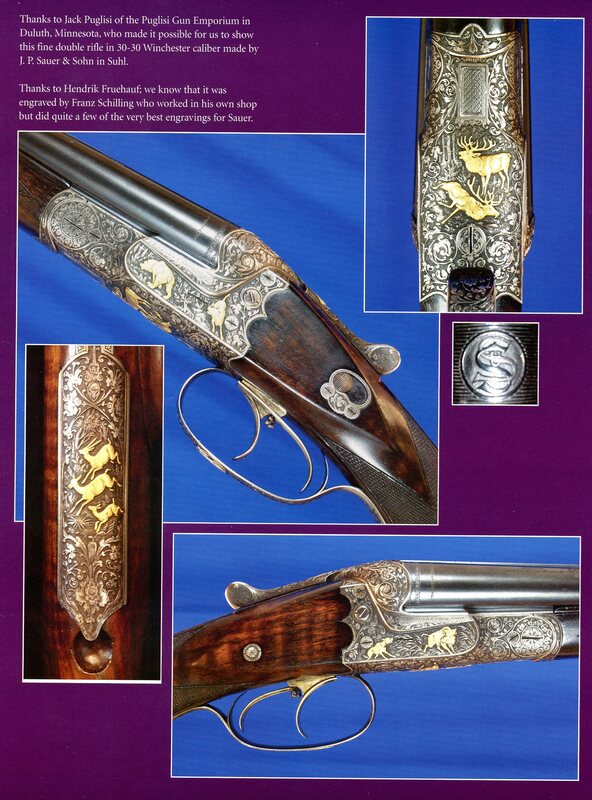 Much more information will be added to our Archive from time to time, including more articles and a photo gallery of Sauer guns. 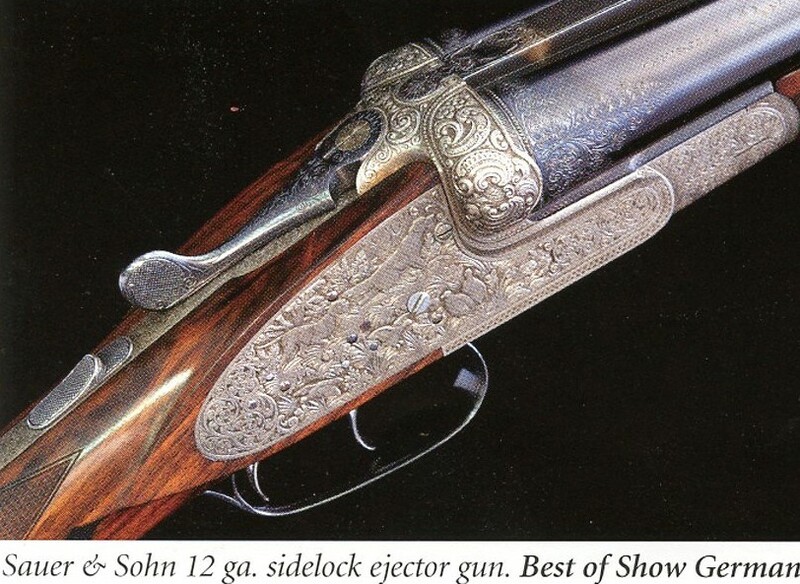 J.P.Sauer & Sohn in Suhl was the oldest and one of the most important gun maker in Suhl when American troops arrived in 1945 and took over both the factory and the Sauer residences. When Russian troops took over about three months later they eventually handed the properties over to a Communist Government. 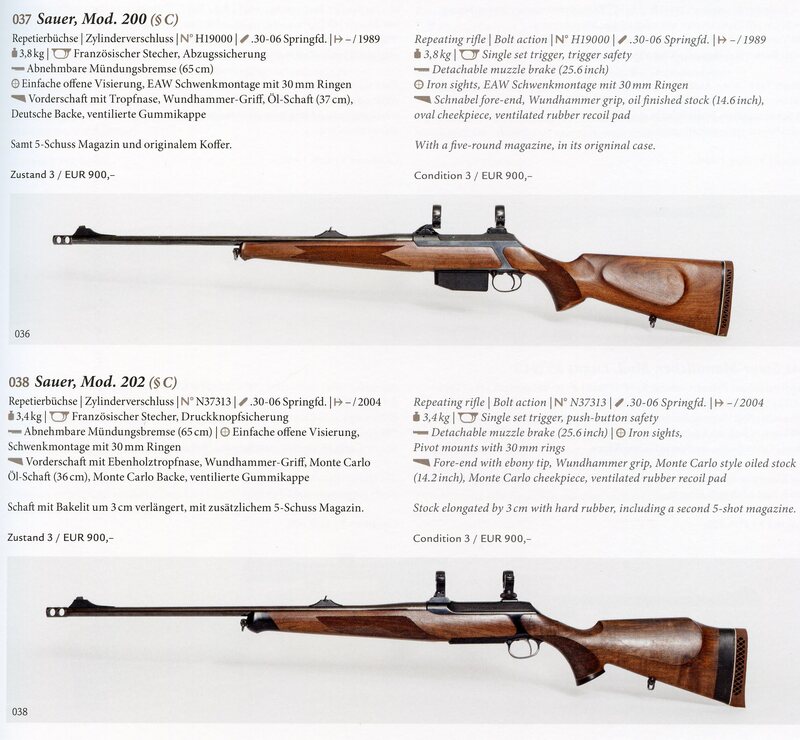 Sauer, Simson, Haenel and Merkel were combined in a conglomerate called “Thälmann Werke”, but the Sauer name was still used on guns up to 1970. 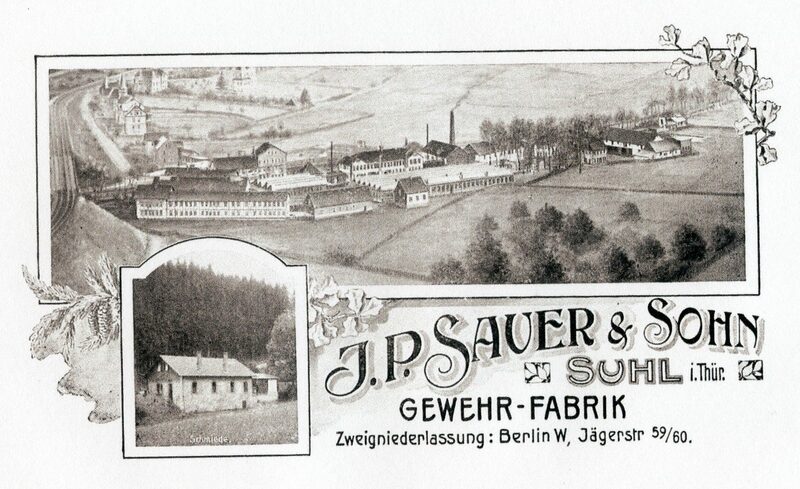 The new J.P. Sauer Company was founded on March 26, 1951 byRolf Sauer, who passed away in 1972, and investors who saw the value of the Sauer name and reputation. It was decided to build a new factory in Eckernfoerde in Schleswig-Holstein on the Ocean (Ostsee) between Flensburg and Kiel. An important research and development facility of torpedoes for the German Navy was located here and had employed seven thousand skilled workers that were out of work when the facility was razed in 1948. 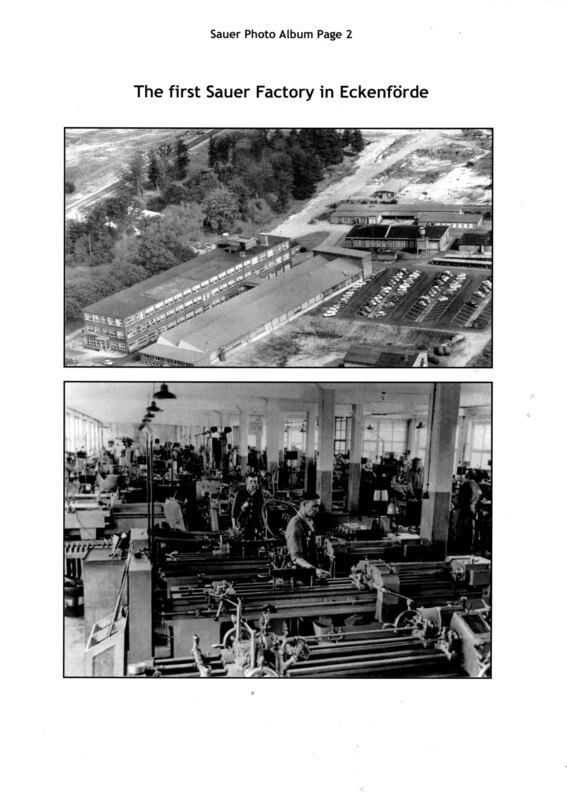 The construction of a new factory began in 1951 among the rubble and 200 of these skilled workers were hired, together with 70 skilled craftsmen from Suhl and the original Sauer factory who were able to leave the Russian occupation zone. 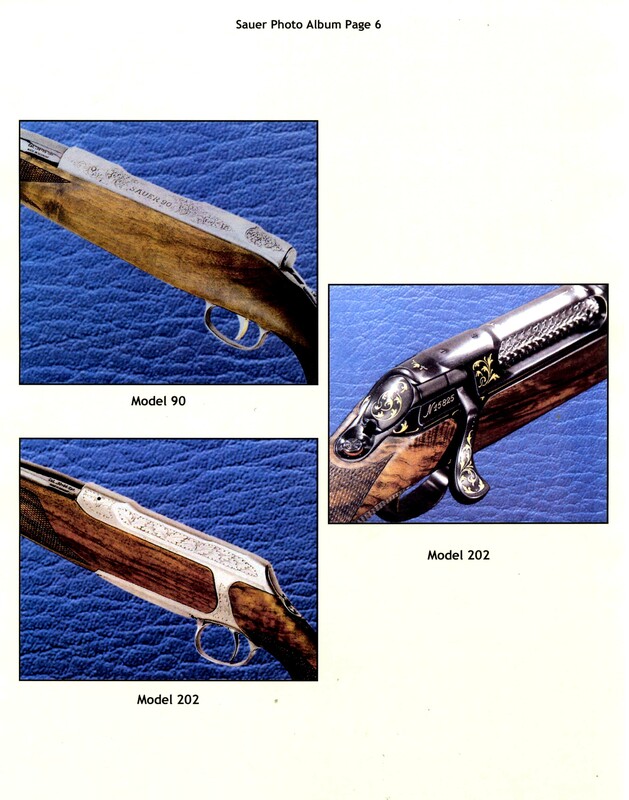 The intent was then, to produce the most popular hunting guns that had been made in Suhl, but technical drawings for these guns were not available. 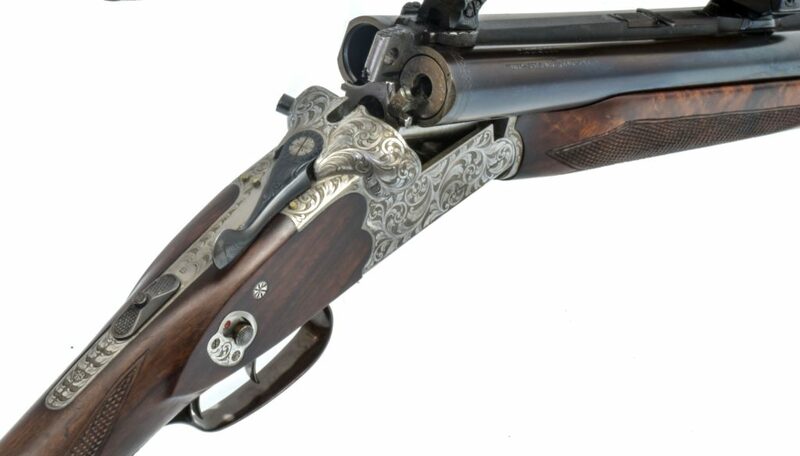 An original model VIII shotgun was the first to be taken apart, all components were measured and production drawings were made. 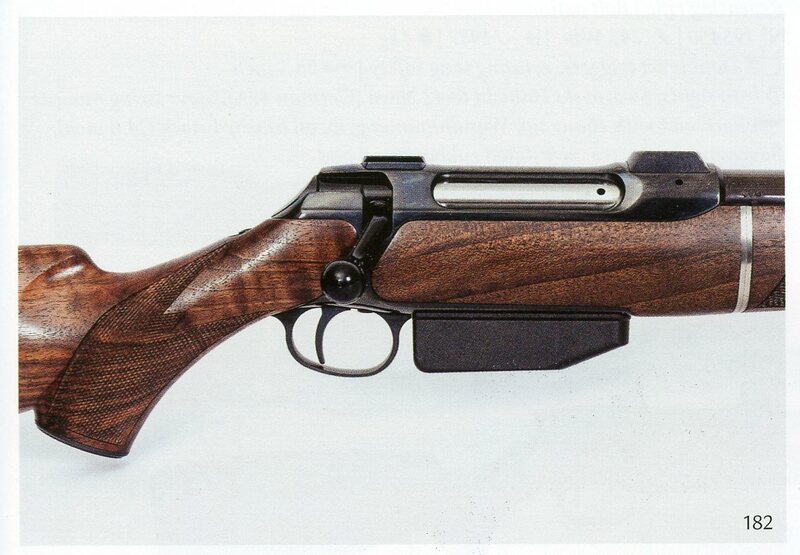 Other models followed and on the 20th of December 1951 the first gun had been produced. 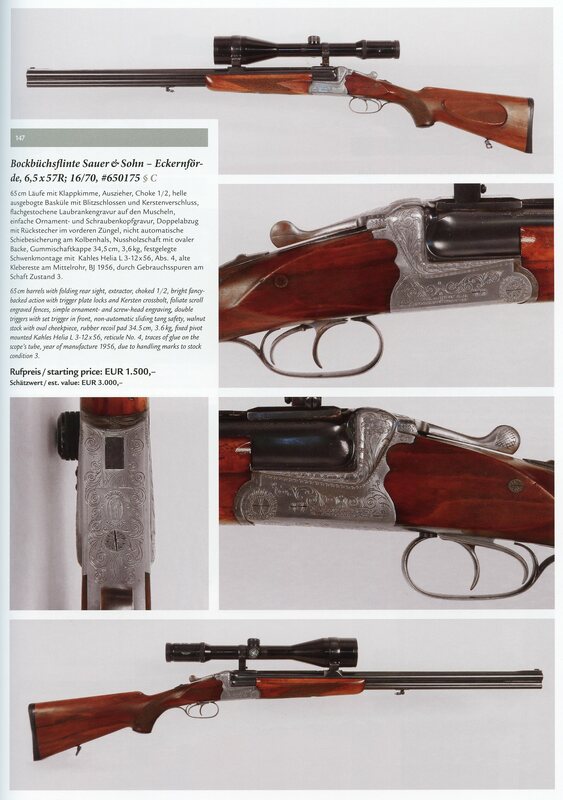 The new Sauer had the great advantage that it could start from scratch with new and modern technology and machinery. By 1952 the company had 430 employees and an apprenticeship program with 40 apprentices. But the marketing of the guns was not easy, because the guns that the Communist Government made in Suhl were exported for very low money loosing prices because hard currency was badly needed and the East German currency was not accepted in the free world markets. The Photo Album of gun models in this Archive give you an idea of how rapidly the company grew and expanded. 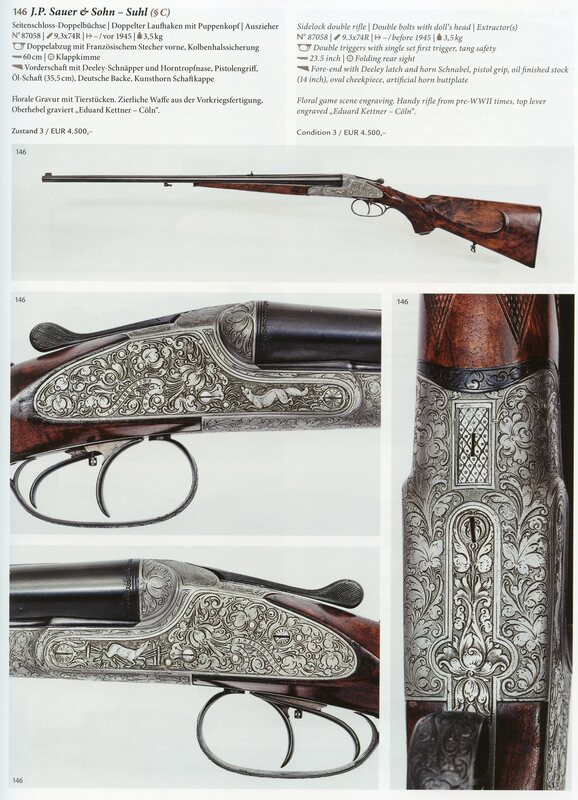 This list shows only the hunting and sporting long guns and does not include the pistols that became also world renowned. Special mention is deserved by the following activities: In 1958 started to produce the Mark V Rifles for the well known Weatherby Company in California, and the partnership arrangements with the Beretta Company in Italy in 1960, with AyA in Spain in 1961, with Dynanite-Nobel and with Franchi in Italy in 1984. 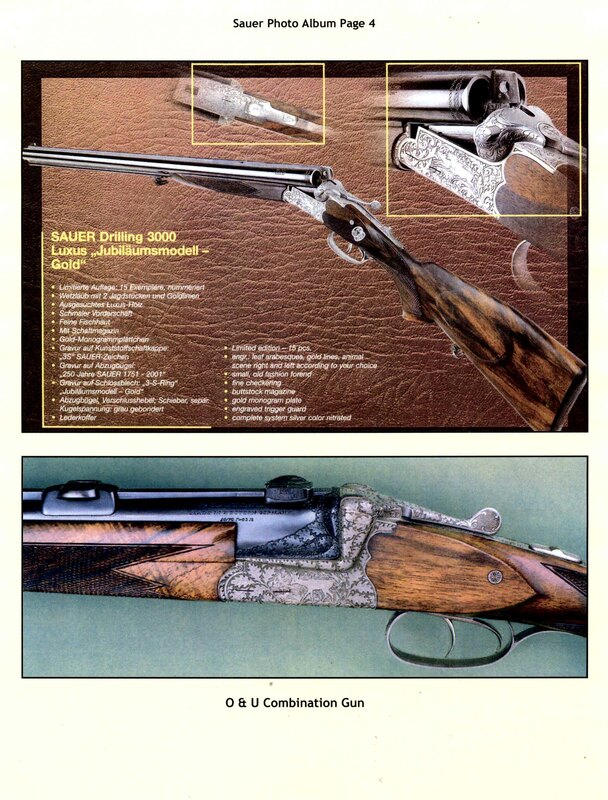 Also, from 1960 through 1999 the model 80 Sauer Drilling was produced for the Colt Company in Hartford-Connecticut and became known as the Colt-Sauer Model 3000 Drilling. This was a basic Anson & Daly type Drilling with a Greener safety as they had already been made formerly in Suhl. 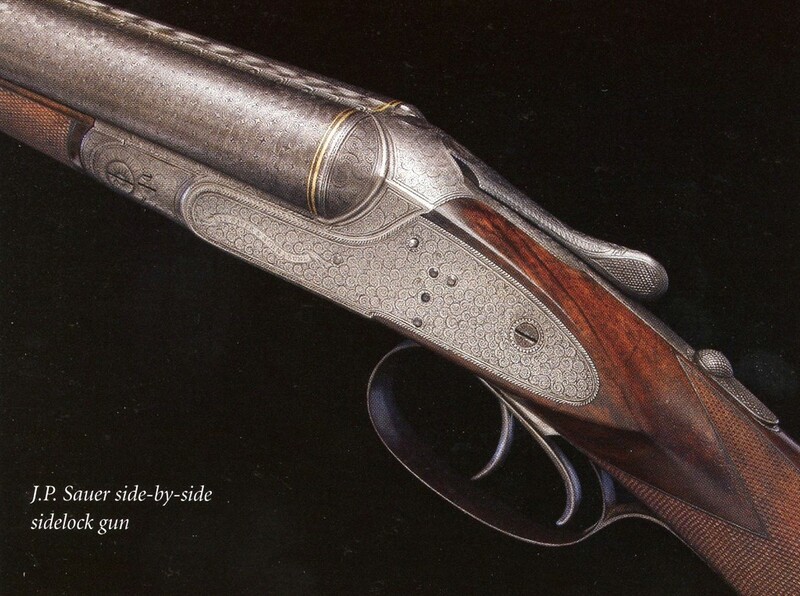 It was availble with 16 ga, and 12 ga. shotgun barrels and six different rifle calibers and enjoyed some popularity, especially among turkey hunters.. In the Blue Book of Gun Values it is valued between $1,400. to $4,300. depending on condition. The Luxus Model is valued between $2,575. to $5,500. 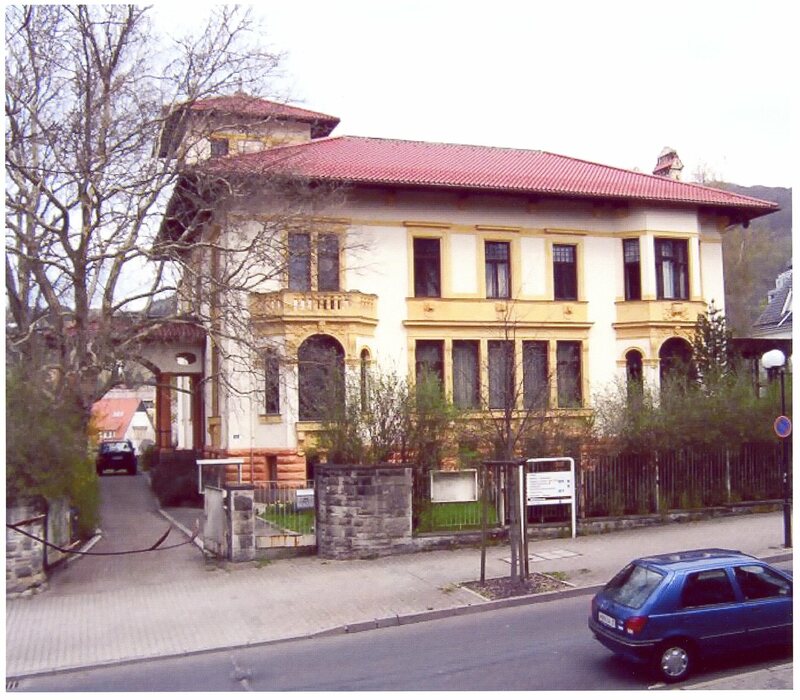 In 1965 the Murmann Family became the new owners of the company, and in the year 2000 Michael Lüke and Thomas Ortmeier acquired the company. 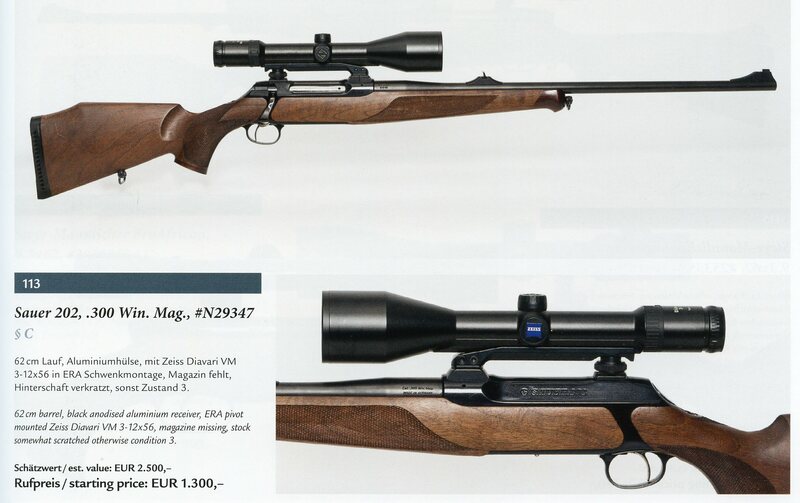 They also owned the Blaser Company in Isny and the new Mauser Company. 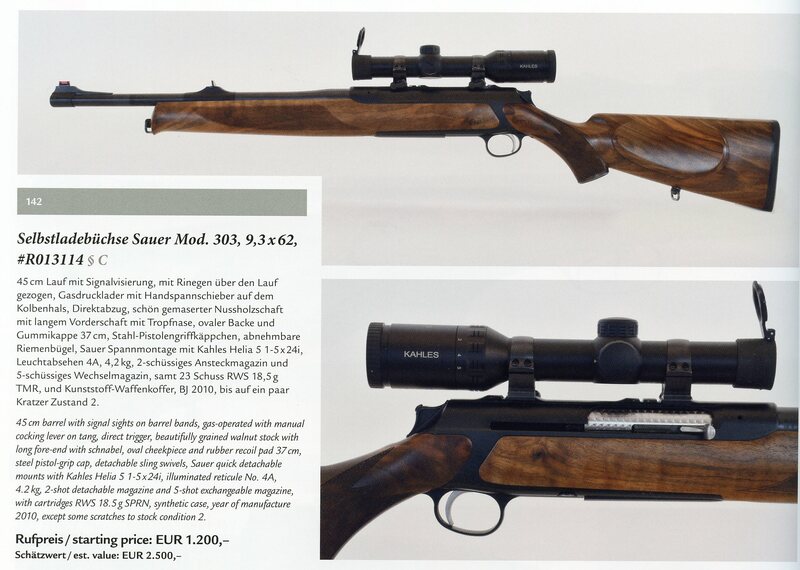 In 2009 J.P. Sauer was re-founded in Isny where Blaser is located. In March of 2013 a new modern manufacturing facility was started in Isny that will be occupied in October, combining Sauer, Blaser and Mauser under one roof. Barrel production and SIG Sauer pistol manufacturing will remain in Eckernförde. 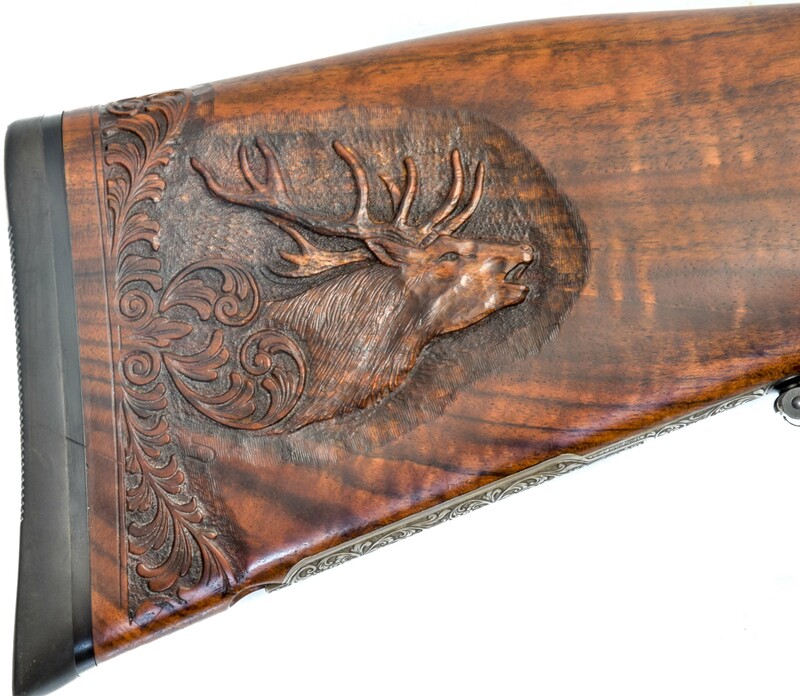 A custom shop will fill special orders for upgraded wood and fine engraving. This new factory will perhaps be the most prominent hunting gun making facility in the world. The information used in this article comes from the book “J.P. 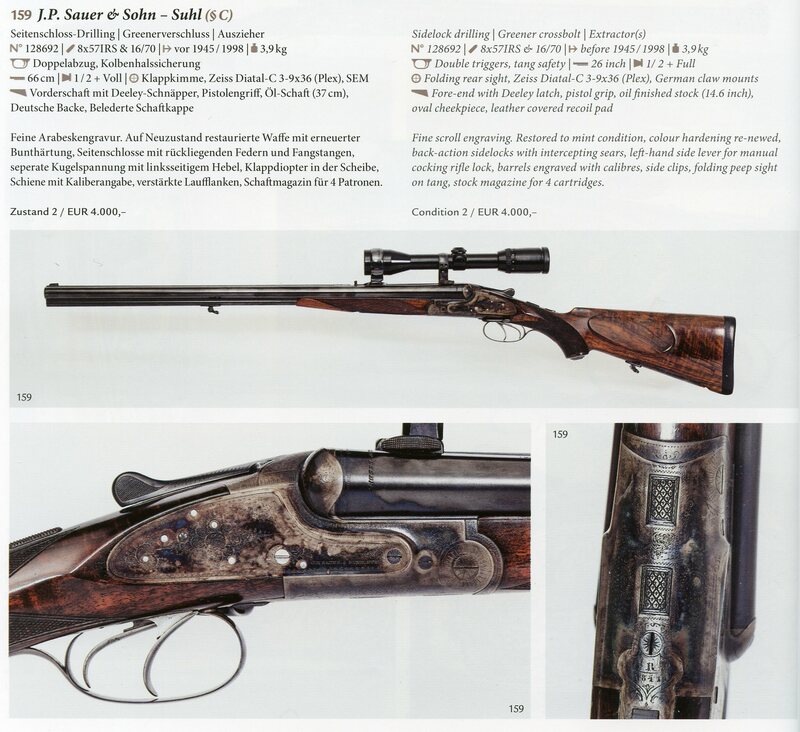 Sauer & Sohn” by Peter Arfmann and Ralf Kallmeyr, from Sauer catalogs, from the Blue Book of Gun Values and from the inter-net. 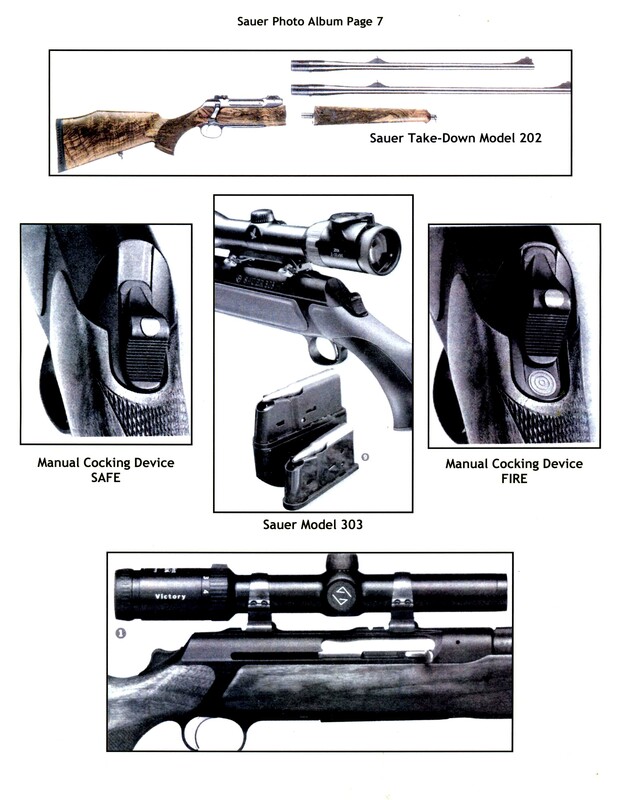 More detailed information about the bolt action rifles can soon be found in Section 6. 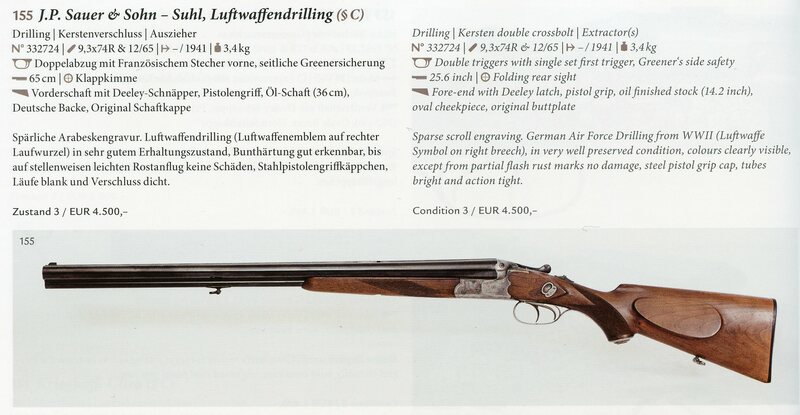 An article about the Sauer Luftwaffe Drillings and O&U Shotguns made for the German Air Force before and during World War II is found in our Archive. 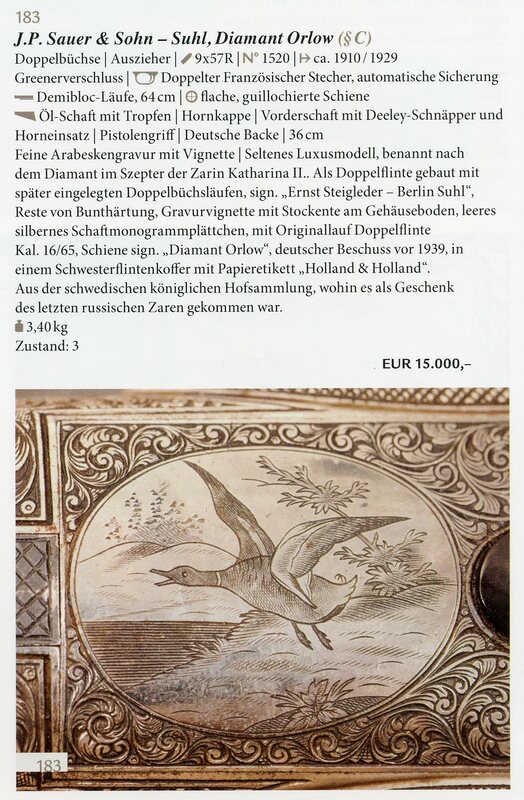 You will find an article about a visit to Eckernförde in our Archive. Much more information will be added to our Archive from time to time.